Is This What the Pilgrims Had in Mind? Thanksgiving, a day entirely focused on eating until the elastic in your sweat pants begs for mercy, a day of ingesting a week’s worth of calories in just one meal, a day filled with carb induced coma-like napping, a day dedicated to food. Is this what the Pilgrims had in mind when they landed at Plymouth Rock? What did they eat that first Thanksgiving? I’m going to go out on a limb and say it probably wasn’t my mother’s congealed cranberry salad made with a whole can of crushed pineapple, a box of raspberry jello and the cranberry sauce that slides out of the can still shaped like the can. I’m almost positive they didn’t have my grandmother’s boiled custard, the one made with two dozen eggs and twice as many tablespoons of her homemade vanilla extract which is nothing more than a vanilla bean soaked in a bottle of vodka for a month or two. Sweet potato casserole that taste more like candy than casserole probably didn’t make it to their table, either. So what in the world did they eat? Duck was the centerpiece of the meal for those first settlers. Guess it seems fitting that today is the first day of duck season in Tennessee making dysfunctional families across the state even more dysfunctional when the patriarch of the family chooses to spend Thanksgiving Day in a cold duck blind chewing on deer jerky rather than carving up a Butterball in the dining room with his offspring. But, I digress. Corn was a huge part of the first Thanksgiving, not my Aunt Nancy’s fried corn full of butter and bacon grease. 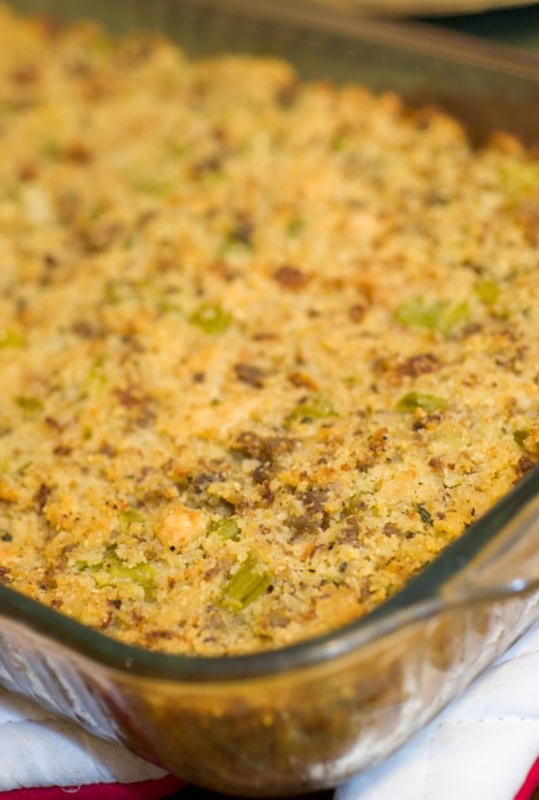 Certainly not corn like my Moma’s cornbread dressing, the one that no one will ever be able to replicate because my Daddy adds a pinch of this and a handful of that every time my Moma turns her back. Corn like porridge, the gloppy cousin of the breakfast favorite of every true Southerner, grits. By all accounts, the Pilgrims and Indians didn’t have Martha White bleached flour or any other kind during that first feast. No butter, either. If we were sticking with the traditional first Thanksgiving, we just lost three-fourths of my family’s traditional meal leaving those two ingredients out. No coconut cake. None of Moma’s famous pumpkin roll. And not a single casserole. You tell me how in the world the Pilgrims thickened their giblet gravy without flour and butter? My family would just as soon cancel the whole darn holiday. If we want to get technical, we are actually celebrating the fact that the Pilgrims’ along with some help from their friends the Indians had a successful first harvest, one that would leave them with enough to keep from starving to death that winter like they had almost done the year before. I’m not sure we can even understand the Thanksgiving of that first feast. Here we are saturated with food, an artery clogging McDonald’s, Wendy’s or Burger King on every corner and a CVS, Riteaid or Walgreen’s on every other one to unclog our grease filled arteries. The Food Network, Top Chef and Cooking Channel help us hone our skills in the kitchen. Food is everywhere, delivered to our front doors, handed to us through our car windows, even put on dry ice and mailed, easily accessible. So much so, I forget there are still people who skip meals, not because they want to fit into that cute cocktail dress for an upcoming Christmas party but because the cabinets are empty. I forget there are kids that miss dinner because Moma and Daddy had a knock down drag out and nobody felt like eating. I forget there are families struggling to make ends meet barely scraping by subsisting on scraps I wouldn’t feed a dog. Today, I am thankful. Thankful that worrying about what I should eat is far better than worrying if I get to eat.